Red Brick Full-service Hotel built in style of country inn with French country furnishings; banquet and meeting facilities. 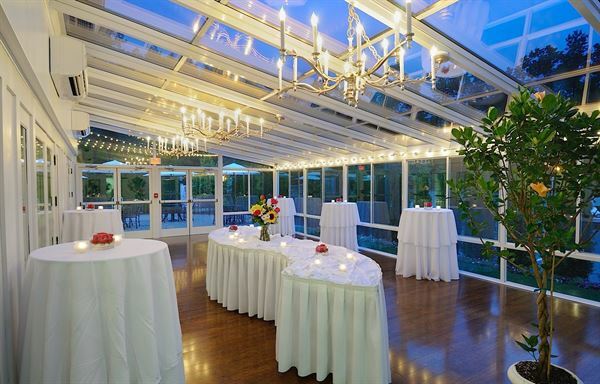 The Simsbury Inn is central Connecticut's most complete corporate meeting destination. Our location, moments from Bradley International Airport as well as business offices and the convention center in downtown Hartford, yet tucked away in a quiet, hillside setting, offers corporate travellers the best of both worlds. Our amenities, from sophisticated venues and award-winning dining to free Wi-Fi and complimentary shuttle service to the airport and nearby destinations, means everything is taken care of once you and your guests arrive.